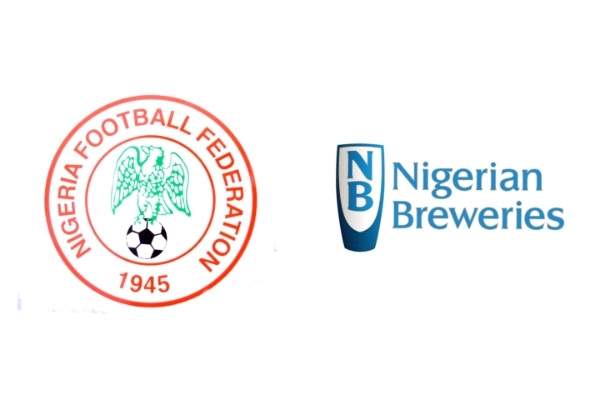 The Nigeria Football Federation (NFF) and Nigerian Breweries PLC will on Feb 9 sign a sponsorship agreement in Lagos. It said that NFF President Amaju Pinnick was “ excited and fulfilled ” to seal the agreements with Nigerian Breweries PLC. “ Nigerian Breweries is an organisation that has been a torchbearer of excellence and corporate social responsibility for the several decades it has operated in Nigeria, ” the statement added. The Pamodzi Sports Marketing Company, a marketing agent for NFF confirmed that the initial contract is for a period of five years with an option for renewal. The Chief Executive of the company, Mike Itemuagbor, said that such sponsorship deals are good for the development of football in Nigeria. “This is a very good deal for the NFF and the National Teams. Nigerian Breweries PLC is committing a huge sum to this sponsorship agreement. “ But the more important aspect is the activation of the contract, which the company has an unrivalled pedigree in doing and which it is committed to doing with this contract as well. “ Pamodzi is happy to be the sponsorship agency to this worthy alliance. “ Nigerian Football is on the upswing and Nigerian Breweries PLC remains a formidable establishment always looking to improve on the satisfaction it gives its customers while remaining committed to lofty corporate social responsibility initiatives,” he said.